The April 1834 resurrections, whose aftermath inspired the painting "Rue Transnonain," cannot be separated from the reign of King Louis Phillipe. 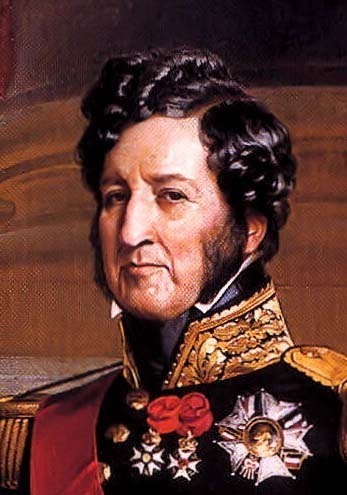 His comparatively long rule from 1830-1848 is most commonly known as the July Monarchy, although its official title is the Royanne des Francais (Kingdom of the French). The philosophy of the new regime is best captured by Phillipe's famous phrase near the start of his reign: "We will attempt to remain in a juste milieu (the just middle), in an equal distance from the excesses of popular power and the abuses of royal power. " Philippe's ascension to the throne was not so much due to a lust for power but rather a push to the throne by an alliance between the people of Paris, the Republicans, and the liberal bourgeoisie. He was known as the "citizen king," because he changed his title from "King of France" to the more inclusive "King of the French". Phillipe first set out to implement liberal reforms while moderating the revolutionary fervor of previous regimes. Helping his image was the fact that he rejected much of the pomp and ceremony that Kings traditionally used. During his first years on the throne, King Louis-Philippe appeared to be a legitimate, broad-based reformer. The Charter of 1830 was used as constitution and it guaranteed the lessening of royal power, electoral reform, religious equality and the establishment of a citizen's militia. At first, King Louis-Phillippe appeared to be carrying out the mandate of the constitution by promoting equality and empowerment for a broader constituency of French citizenry. However, it soon become clear that while Phillipe's efforts spoke of doing one thing, it secretly served to empower his followers, the bourgeoisie. 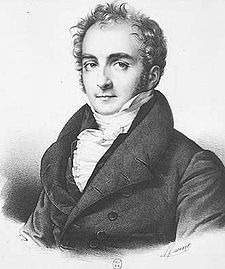 For example, under Phillipe the number of people allowed to vote doubled. However, voting rights were only extended from the very wealthy to the slightly less wealthy. So what appeared to be a step in the right direction towards enfranchisement for all was really only increasing the presence of his allied group, the bourgeoisie's power. Phillipe undermined the power of the citizen's militia by increasing the size and power of his own army. A member of Phillipe's cabinet, Casimir Perier, took it upon himself to shut down numerous the labor unions that had formed during the start of the regime. Railway and mining contracts were freely distributed to their bourgeoisie supporters. Worker conditions under these contracts were rather poor with workers given no right to petition for decreased hours or increased pay, among others. Thus the July Monarchy under Perier, Molé, and Guizot was rather disadvantageous to the lower classes and Guizot's advice was simply "enrichissez-vous" - "enrich yourself". Following the assassination of a popular opposition leader in 1831 there were oppositional riots, but not much changed. The riots of April 1834 were more purposeful; workers campaigned for the fairer working conditions they were promised and the protested against a new law that further impacted their ability to form unions. A French police officer was killed during the riots and the Police retaliated on April 14th, 1834. This provided the inspiration for Daumier's painting, whose full title is: Rue Transnonain, 1e 15 Avril, 1834.